At the East Haven High School Scholarship Night held at the school on June 7, 2018, the East Haven Unity Fund presented the organization’s seventh annual scholarship awards. Trustee Jacqueline Albis attended the scholarship event to announce the two deserving recipients selected by the school’s Scholarship Committee: Estefania Melchor and Christie Gutierrez. On behalf of the East Haven Unity Fund, Mrs. Albis presented each student with a $500 scholarship award. Estefania ranks in the top ten percent of her class and is a member of the National Honor Society. She earned the Spanish 3 Honors Award and the Art 1 Award. Estefania served as the President of the Books and Brownies Club and was a member of the Gay-Straight Alliance and the Multicultural Club. Outside of school, she volunteered at the Connecticut Food Bank. 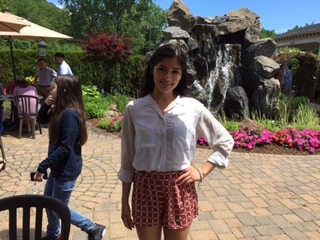 After graduation Estefania will attend Southern Connecticut State University. Christie likewise ranks in the top ten percent of her class and is a member of the National Honor Society. Her awards have included the Harvard Book Award, East Haven Rotary Club Student of the Month, and the Connecticut Council of Language Teachers Excellence in Spanish Award. During her high school career she has served as the Chief Editor of the Yearbook, and she has been a member of Students Against Destructive Decisions (SADD), Diversity Club, and Gay-Straight Alliance. Christie plans to attend the University of Connecticut (Storrs campus) in the fall of 2018. At the East Haven High School Scholarship Night held at the school on June 7, 2017, the East Haven Unity Fund presented the organization’s sixth annual scholarship awards. In addition to the two scholarships that the Unity Fund has traditionally awarded each year, a third scholarship was made possible this year by the generosity of an anonymous donor. Trustee Jacqueline Albis attended the scholarship event to announce the three deserving recipients selected by the school’s Scholarship Committee: Reinaldo Martinez, Gabriela Tapia, and David Hernandez, Jr. Mrs. Albis presented each student with a $500 scholarship award. 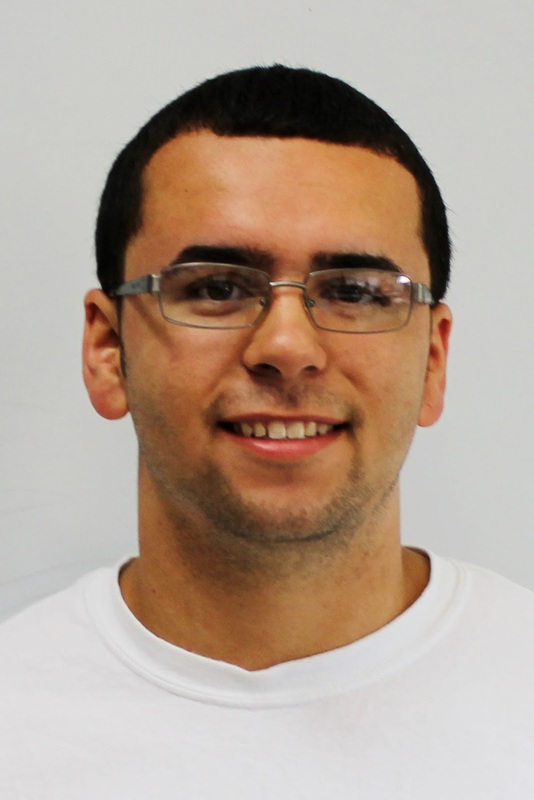 Reinaldo earned honors during all four years of his high school career. He was a member of the varsity track and football teams throughout high school; during his senior year he was a track team captain and received the “Coach Award.” Outside of school, Reinaldo volunteered at Kingdom Life Christian Church in its children’s ministry. He also worked to raise awareness in his school and community about muscular dystrophy, a disease which claimed the life of his cousin. Reinaldo also raised funds for the Muscular Dystrophy Association in honor of his cousin. 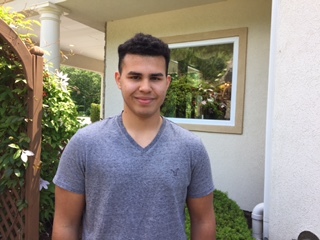 After graduation Reinaldo plans to attend Southern Connecticut State University. Gabriela finished in the top 10% of her class, earning the COLT CT Award for Excellence and the Wells College Book Award. During her high school career she has been a member of the indoor and outdoor track teams, Students Against Destructive Decisions (SADD), and the Diversity Club. She also participated in the Health Occupations Students of America (HOSA) and served as the group’s president during her senior year. Gabriela earned membership in the National Honor Society in her junior and senior years. 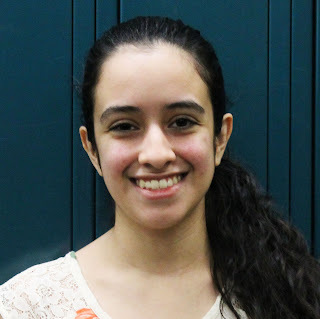 In addition to her school activities, Gabriela is a long -time dance student with a special interest in ballet. For her senior Capstone experience she used her ballet experience to teach dance to a younger group of girls. Gabriela plans to attend Fairfield University in the fall of 2017. David ranked in the top 15% of his class. His awards included the COLT CT Award for Excellence and the Scholar Athlete Award. David was a member of the varsity football and soccer teams. He also participated in the Health Occupations Students of America (HOSA). As the result in his interest in the medical field, David competed in state conferences for CPR and First Aid, and was a member of the Interdisciplinary Health Care Team. He took on a leadership role for each of his teams for these events, and he attended related international conferences in Florida and Tennessee. 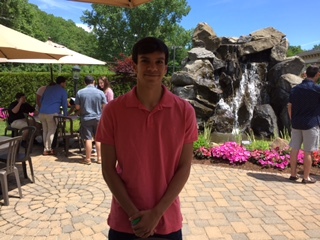 After graduation David intends to continue his education at Southern Connecticut State University. At the East Haven High School Scholarship Night held at the school on May 31, 2016, the East Haven Unity Fund presented the organization’s fifth annual scholarship awards to two outstanding students of Latino descent. Trustee Jacqueline Albis attended the event to announce the deserving recipients selected by the school’s Scholarship Committee: Meyvelin Delgado and Melissa Palma. Mrs. Albis presented each student with a $500 scholarship award. 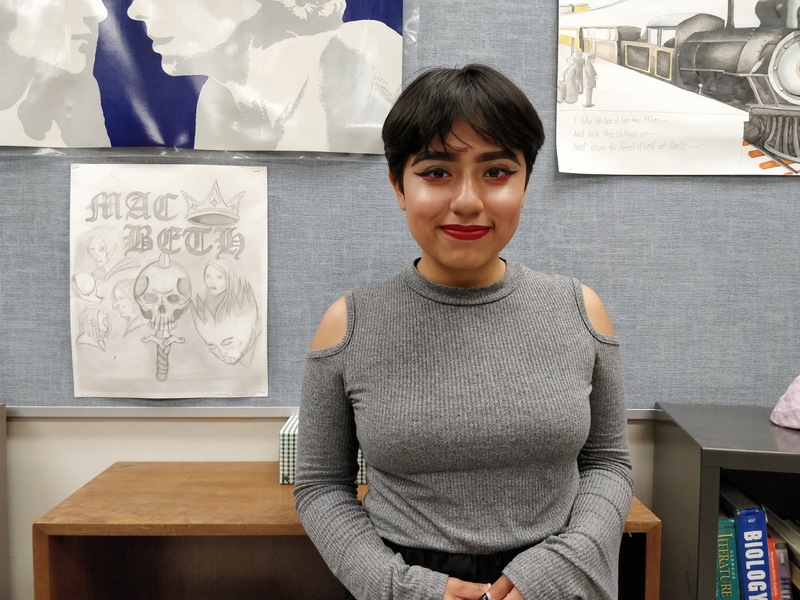 Meyvelin ranks in the top 13% of her class. During her high school career she participated in various activities and organizations including the Health Occupations Students of America (HOSA), the Multicultural Club, and Students Against Destructive Decisions (SADD). During the summer of 2015 she attended a Leadership Conference in connection with her Multicultural Club membership. In the fall of 2016, Meyvelin will attend the Southern Connecticut State University. Meyvelin’s parents and grandparents were born in Guatemala. Melissa finished in the top 10% of her class, earning awards for high academic achievement in History and Health Science Tech I and II. She was named the Most Valuable Player of the cross country team and holds the school record in track in the 5,000 meter run. Melissa has been honored as a Superintendent’s Student of the Month and was chosen to participate in a round table conversation with United States Attorney General Loretta Lynch during the Attorney General’s visit to East Haven. In addition to the cross country and indoor and outdoor track teams, Melissa participated in HOSA, the high school’s partnership program with Gateway Community College, and the College Before College program with the University of New Haven. Melissa also completed hundreds of hours of community service at Yale-New Haven Hospital and is a National Honor Society inductee. She will join Meyvelin as a student at Southern Connecticut State University this fall. Melissa’s parents and grandparents were all born in Latin American countries. At this year’s East Haven High School Awards Ceremony held June 1, 2015, the East Haven Unity Fund presented the group’s fourth annual scholarship awards to two outstanding students of Latino descent. Trustee Jacqueline Albis was present to announce the deserving recipients, selected by the Scholarship Committee of East Haven High School: Danny Melendez and Elizabeth Muralles. Each receives a $500 scholarship award. Danny ranks in the top third of his class. During his high school career he earned an award for academic achievement in English class as well as recognition from The National Academy of Future Physicians. In the fall of 2015, Danny will attend the University of New Haven. Danny’s paternal grandmother was born in Puerto Rico. Elizabeth ranks in the top 10% of her class, earning Honors or High Honors throughout her high school career. 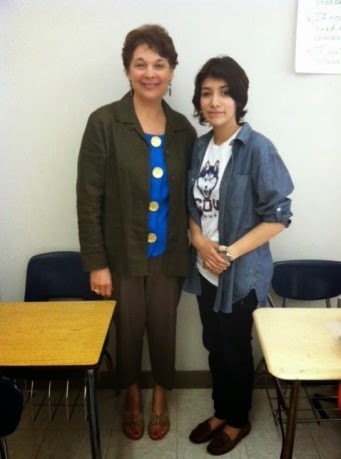 She was a member of Health Occupations Students of America (HOSA) and the Multicultural Club. During high school Elizabeth performed community service which was extraordinary in its amount and breadth. She completed over 250 hours of service at Yale-New Haven Hospital, in addition to 130 community service hours abroad in Australia, New Zealand and Fiji. In the fall of 2015, she will attend Quinnipiac University. Elizabeth’s parents and grandparents were born in Guatemala. The annual East Haven High School Awards Ceremony was held at the school on May 28, 2014, and the East Haven Unity Fund was there to present the group’s third annual scholarship awards. Trustee Jacqueline Albis proudly presented two scholarship awards of $500 each to outstanding students of Latino descent. This year’s deserving recipients, selected by the Scholarship Committee of East Haven High School, are Gabriella Comesanas and Vanesa Suarez. Gabriella ranks in the top 6% of her class. 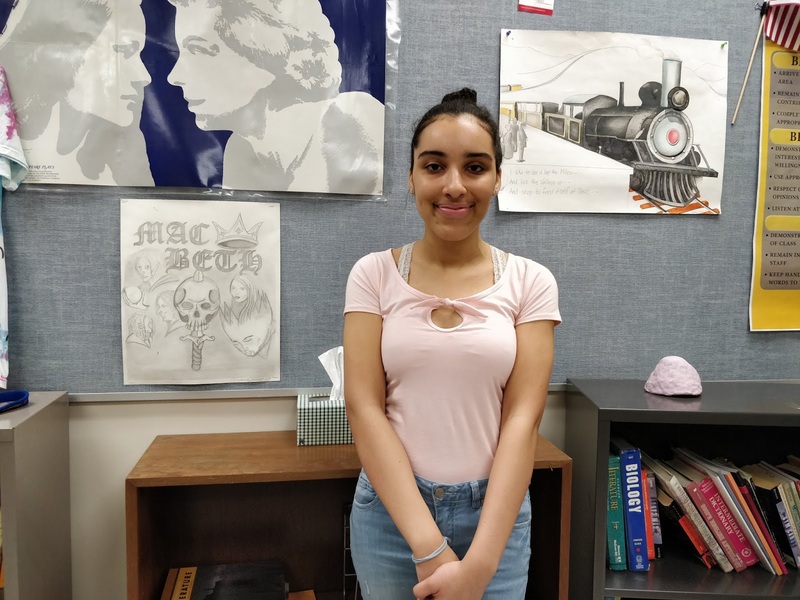 She was chosen the Hugh O’Brian Youth Leadership Representative for her class, earned the Colt Award for excellence in foreign language recitation, and is a member of the National Honor Society. Gabriella’s many extracurricular activities include varsity softball, Science Club, and SADD (Students Against Destructive Decisions). Beyond her school activities, she has worked for the YMCA in several capacities, including volunteering to teach children to swim. In the fall of 2014, she will attend the University of New England in Biddeford, Maine, where she plans to study marine biology. Gabriella’s grandfather was born in Cuba and her grandmother in Ecuador. 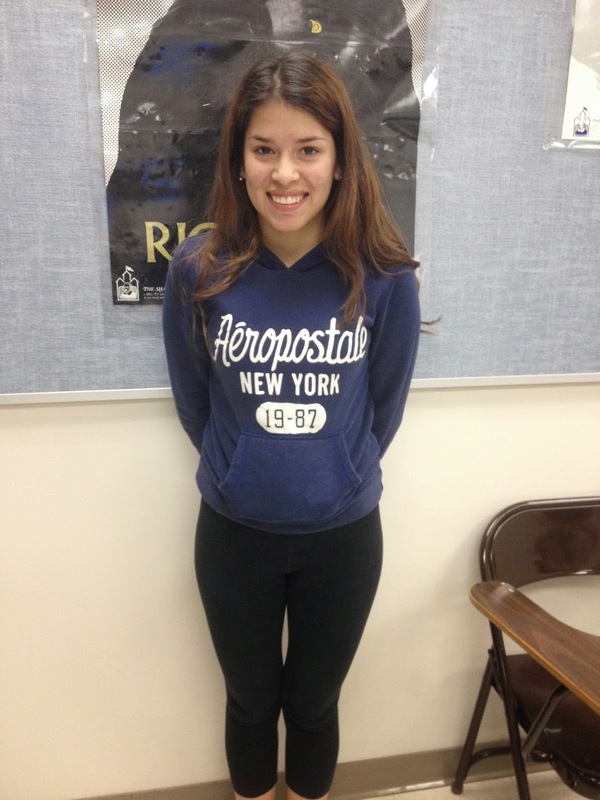 Vanesa ranks in the top third of her class and received the award for Academic Excellence in United States History. Her extracurricular activities at the school have included SADD, Multicultural Club, and various community service efforts. 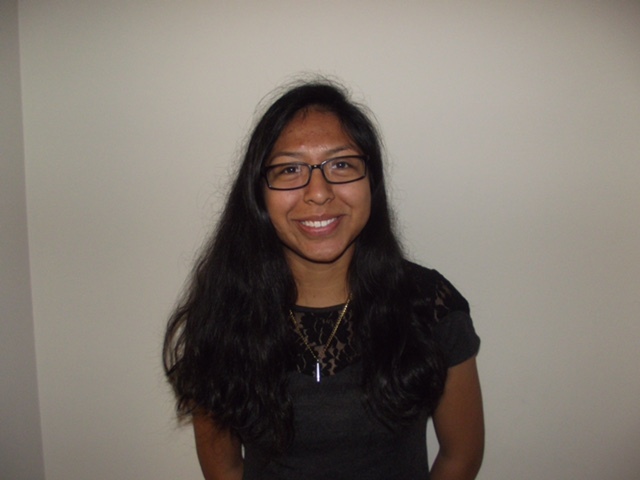 Outside of school, she has volunteered for Unidad Latina en Acción, an organization that works for the legal rights of workers and immigrants. In addition to her studies and many activities, Vanesa has also held part-time jobs during much of her high school career. 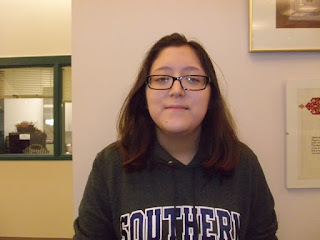 In September 2014 she will attend Central Connecticut State University where she plans to major in Political Science. After college she intends to pursue a law degree. Vanesa and her family were born in Peru. The second annual East Haven Unity Fund scholarships were presented at the annual East Haven High School Awards ceremonies held May 30, 2013. Trustee Jacqueline Albis proudly presented two scholarship awards of $500 each to outstanding graduating seniors of Latino heritage. The two award recipients were Cindy Recinos and Carolyn Hanlon. 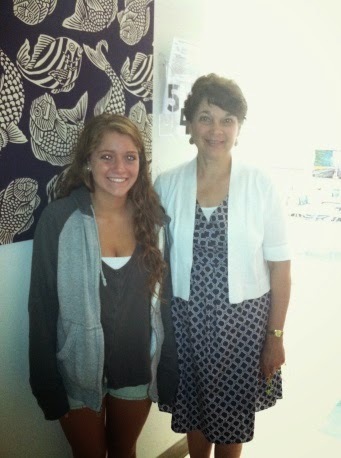 Carolyn Hanlon, pictured at left with Trustee Jacqueline Albis, will begin her freshman year at Southern Connecticut State University in the fall of 2013. 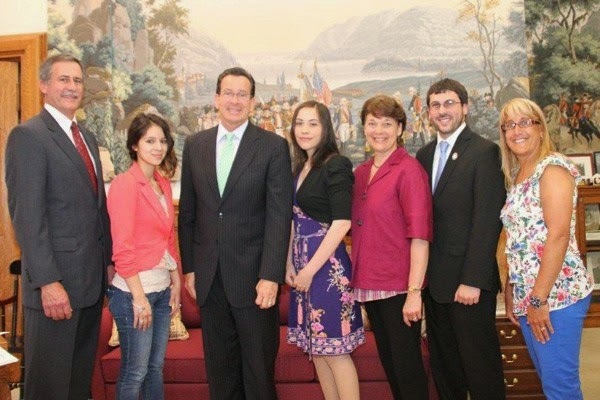 On June, 12, 2012, Connecticut Governor Dannel P. Malloy invited the recipients of the first East Haven Unity Fund scholarship awards to his office at the State Capitol to recognize their achievements. Governor Malloy also welcomed the families of the two students, Alisia Cintron and Kathleen Torres. In attendance at the meeting with the Governor were Jacqueline and Michael Albis, the founders of the Unity Fund; Elizabeth Franco-Spano, a Trustee of the Fund; and East Haven State Representative James Albis. Governor Malloy congratulated the students and their families and discussed the recipients' college plans with them. He also acknowledged the community's support for the worthy goals of the Fund. Governor Dannel P. Malloy meets with the recipients of the 2012 East Haven Unity Fund scholarship awards. At the East Haven High School Awards ceremony held May 23, 2012, the Trustees of the East Haven Unity Fund presented its first-ever scholarships, awarding $500 dollars each to two graduating seniors of Latino heritage. The recipients are Alisia Cintron and Kathleen Torres.